Chemical Engineers invent, design and operate industrial processes that convert raw materials into valuable products. Thus, chemical engineers are very much in demand in a wide range of industries from food, pharmaceuticals, plastics, detergents, drinking water, fuels, energy, etc. as consumers are demanding both more sophisticated products and more sustainable processes. Chemical engineers are behind the drive for renewable plastics, sustainable energy, clean affordable water, personalised drugs, etc. 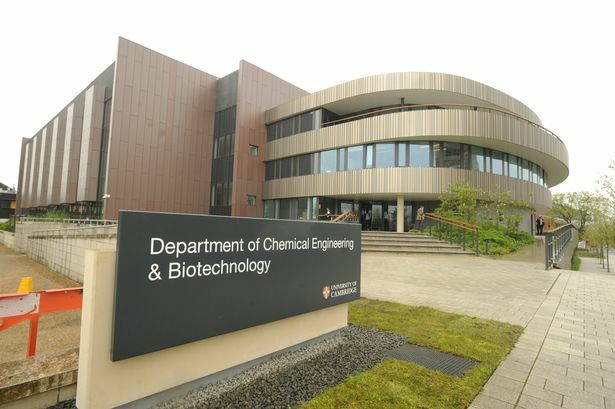 The Department of Chemical Engineering and Biotechnology at Cambridge enjoys a reputation for excellence in its teaching and research, regularly topping national league tables (e.g REF 2014). 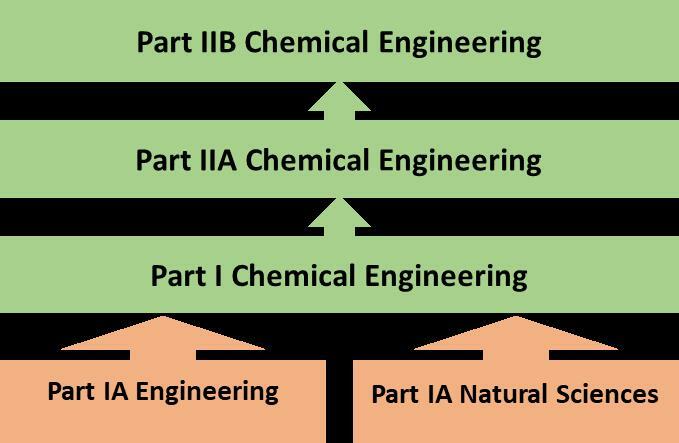 Chemical Engineers spend their first year studying either Part IA Engineering or Part IA Natural Sciences. The Natural Sciences route enables students to study three science subjects and mathematics, and is ideal preparation for those who like pure science and want to understand how things work at a fundamental level (https://www.joh.cam.ac.uk/natural-sciences-physical). The Engineering route gives students a broad background in different engineering disciplines and is ideal preparation for those who like applying science to solve real-world problems (https://www.joh.cam.ac.uk/engineering). From the second year (Part I), students are based within the Department of Chemical Engineering and Biotechnology. They are taught primarily through lectures supported by projects, laboratory classes, supervisions and coursework. Each week students typically attend 11 lectures and have two supervisions. They also undertake fortnightly projects. Our course concentrates on the scientific principles behind modern chemical and biochemical engineering. These skills are complemented by a series of lectures and exercises that teach design. How to design individual items of process equipment, and how these may be integrated to make a chemical plant, are important aspects of industrial practice. Process design involves using scientific and engineering principles to make sensible decisions amidst uncertainty arising from limited technical information. Process design tuition culminates in a major Design Project at the end of the third year (Part IIA). The aim of the fourth year (Part IIB) is to develop a deeper understanding of the discipline and to study some specialist subjects. Students choose advanced topics from a range of options according to their interests, and undertake an original research project. All Chemical engineering undergraduates work under the direction of their Director of Studies who provides guidance in how they can study most effectively as well as providing advice about vacation placements, careers, or postgraduate study after graduation. The Director of Studies meets undergraduates at the end of each term to review the reports received from their supervisors and to plan their work over the vacation. There is a strong emphasis on developing a sense of self-responsibility in undergraduates for the quality and success of their work. A Part I Chemical Engineering undergraduate has about ten hours of lectures and two hours of supervisions a week, although about forty hours private study is generally needed in addition to this. The range of optional subjects available expands in the final year of the course, where students can select their choices from a variety of subjects covering chemical engineering, biochemical engineering, biotechnology, sustainability, foreign language, etc. We usually admit up to 15 undergraduate students each year to study Engineering and 30 undergraduate students in Natural Sciences (both Physical and Biological Sciences). St John’s College aims for a cohort of 2-3 Chemical Engineering students per year however, groups have varied between 0 to 7 students in the recent years depending on the quality of the applicants. One great advantage of the Cambridge system is its flexibility. You are not absolutely committed to reading Chemical Engineering even if you specify it on your application form. For instance, t is usually possible to continue studying a pure science if you do first-year Natural Sciences, or another branch of engineering if you do first-year Engineering. It is often possible to change to Chemical Engineering, even if this is not stated on the application form if an appropriate first-year course is studied if the course is not over-subscribed. In any case, be reassured that applicants are not in disadvantage if they apply directly to Chemical Engineering or Engineering or Natural Science. Students choose which of the two entry routes, via Natural Sciences or via Engineering, they would prefer. The routes provide equally good preparation for the chemical engineering undertaken in subsequent years. A typical offer for admission is A*A*A at A2-Level (or equivalent qualification). Mathematics, Physics and Chemistry are essential A- level subjects. It is highly desirable to take Further Mathematics at AS or A2-level. A typical offer for admission is A*A*A at A2-Level (or equivalent qualification). Mathematics and Chemistry are essential. Further Mathematics and/or Physics is highly desirable at AS or A2 level. Biology may be helpful at AS or A2-Level. Applicants sit a pre-interview written assessment in November. Performance on this test is used by the College as part of their overall assessment of an applicant. The test is the same one as for engineering or for natural sciences applicants (depending on route chosen). Further information on the exact nature of this pre-interview assessment is available on the website http://www.cam.ac.uk/assessment/. Applicants for Chemical Engineering will need to sit the University's Pre-Interview Admissions Assessment for either Engineering or Natural Sciences, depending on the subject they intend to apply through, more information on which is available here.